Entry into The Event & $1000 in Starting Chips. Texas Holdem , Craps, Roulette, Black Jack, 3 Card Poker & More. Food & Drinks Included. 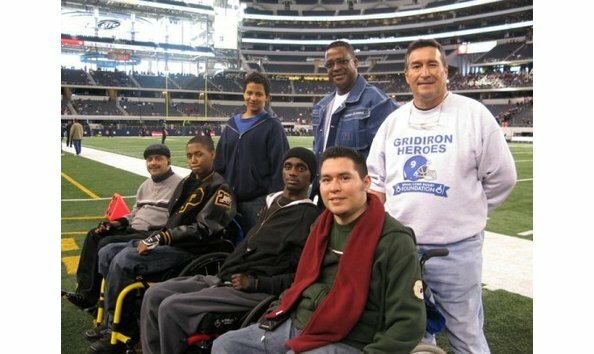 Description: Gridiron Heroes Spinal Cord Injury Foundation was formed in 2003 with a specific mission: To provide immediate, as well as, long term resources and support to individuals sustaining catastrophic spinal cord injury through activities associated with high school football. chris On November 2, 2001, Chris Canales, a senior defensive back playing for San Marcos Baptist Academy, sustained a spinal cord injury during the fourth quarter of his final regular season game. Chris lay motionless on the field for 19 minutes. The next three weeks, Chris fought for his life. The following months he battled through rehabilitation trying to gain movement and learning how to function as a quadriplegic. Chris’ injury and the lack of any organized support system for families prompted his father, Eddie Canales, the Canales family, and former coach Mike Kipp to begin discussions about the desperate need for an organization for families who were forced to deal with the consequences of this devastating injury.